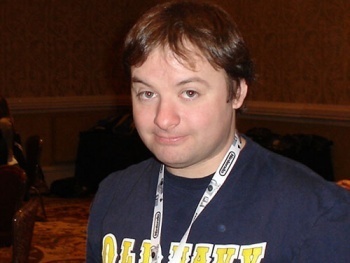 Jaffe: Gamers' Rights Efforts are "Pointless and Naive"
The always-outspoken David Jaffe says efforts by gamers to make themselves heard on California's upcoming Supreme Court case are "pointless and naive." On November 2 the Supreme Court of the United States will hear oral arguments on California's proposed law to regulate the sale of videogames to minors. This will be a hugely important moment for gamers, as it will ultimately determine the fate of the videogame medium as we know it, so it's natural that a great many people, encouraged by groups like the Entertainment Consumers Association and the Video Game Voters Network, are doing what they can to express their views on the matter. But Jaffe, the man behind Twisted Metal and God of War, thinks it's a waste of time. "While I understand and appreciate and support the emotion and feeling behind gamer's desires to sign petitions and write their representatives to let their views be known on the California games bill in front of the Supreme Court, am I the only who who thinks such efforts are pointless and naive?" he wrote on TwitLonger. "The Supreme Court does not rule based on how a vocal majority - let alone a vocal minority like gamers and other media folks - feel about a case in front of them. At best the court will use solid judgment, facts, and president to make a decisions. At worse they will let their own political agendas rule the day. But either way, what do they care what the public thinks?" "They didn't care that a majority of Americans wanted a recount for the Presidential election in 2000, you think they'll care that 3000, 5000, 10,000, hell even 5 MILLION people sign some petition?" he continued. "Again, perhaps there is value and I'm missing something but from my view it just seems like a big exercise to make people feel like they are making a difference when - in the end - none of our views on this will matter one bit. The Supreme Court is not a democracy where the people vote on the laws they want enacted." He has a point. The Supreme Court will, hopefully, rule on law and precedent, not sensationalism and shouting. But there's no doubt in my mind that he's also missing something. The Supreme Court is not a democracy but the United States is, and a lot of what makes it tick is influenced directly or indirectly by citizens who speak out. The die may be cast in this particular case but encouraging political engagement among gamers is never a waste of time. Are campaigns like the one to send game controllers to Leland Yee a bit goofy? Sure. But they also send a message: We're here, we vote - and we take this stuff seriously.